The new timeline would allow researchers to measure early summer melt in Greenland's ice sheet. The U.S. government shutdown significantly delayed NASA’s polar ice-measuring campaign planned for this spring. The mission was postponed from March 4 to April 1 — a four-week delay on a mission intended to last for eight weeks. The delay means researchers will likely not be able to measure the full extent and thickness of Arctic sea ice, which typically happens in March. He recently received news that the mission may be extended by another three weeks, allowing for a seven-week ice-measuring mission — very close to the original eight-week mission. The IceBridge campaign involves outfitting an airplane with a laser system to take precise measurements of sea and land ice. That data will then be compared to the measurements taken by ICESat-2, a satellite NASA launched last fall, in order to calibrate the spacecraft’s data. However, the aircraft operator has now indicated that they may be able to extend the mission after all. Another piece of good news: If the campaign is extended into May, they will be able to take more accurate measurements of early summer melt in southern Greenland’s ice sheet. “That’s good, because ice that’s melting tends to look a bit different to a space laser than very cold ice looks,” Sonntag explained. 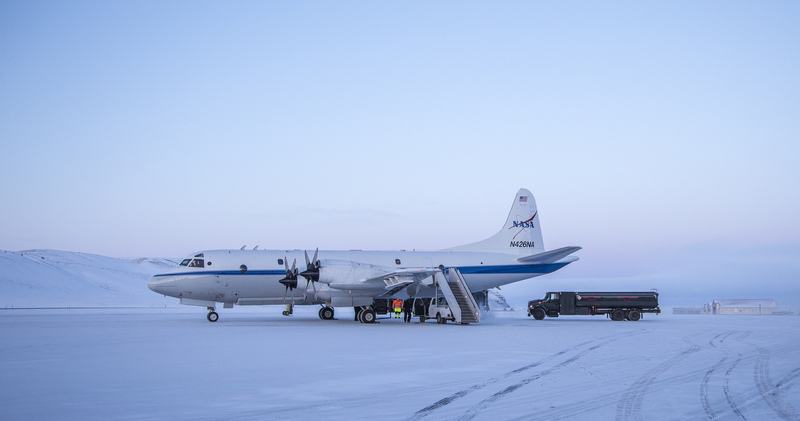 Being able to compare the spacecraft’s measurements to data collected by airplane will help researchers understand the melt better. Extending the IceBridge mission will “squeeze” planning for the plane’s next project — a monsoon-monitoring experiment in the Philippines — a bit, Sonntag says. But if all goes well, that team should still be able to conduct their entire campaign as planned. It also gives IceBridge scientists a shortened timeline to plan their next campaign, which takes place in the summer with an airplane that will be new to them. “We started having meetings right away,” he said, indicating that NASA parties are a little different than this reporter’s. Those working on the IceBridge mission have had to scramble to revise the original plan, he says, and they’re still adapting to the changes. One challenge has been outfitting the aircraft with monitoring equipment in time to make the April 1 launch goal.